Online courses: Six week Red Tent Initiation Program. 41 Day Womanrunes Immersion. Red Tent Circle: Women’s circle monthly on the Friday nearest the New Moon at WomanSpace in Rolla, Missouri. This is a multi-faith circle, welcoming women at all phases of their lives. Meetings at the Moon Women’s Temple: in-person women’s spirituality circle holding quarterly retreats and monthly rituals near Rolla, Missouri. This circle is Goddess-centric. If you are interested in joining our face-to-face women’s group, please email me with some information about yourself and your interest in our circle. We are open to new members at this time. The circle is free. Active participation and assistance with ceremonies is expected. Cakes for the Queen of Heaven or Rise Up and Call Her Name classes (face to face in Rolla, MO and surrounding areas) based on the UU Women and Religion curricula of the same names. 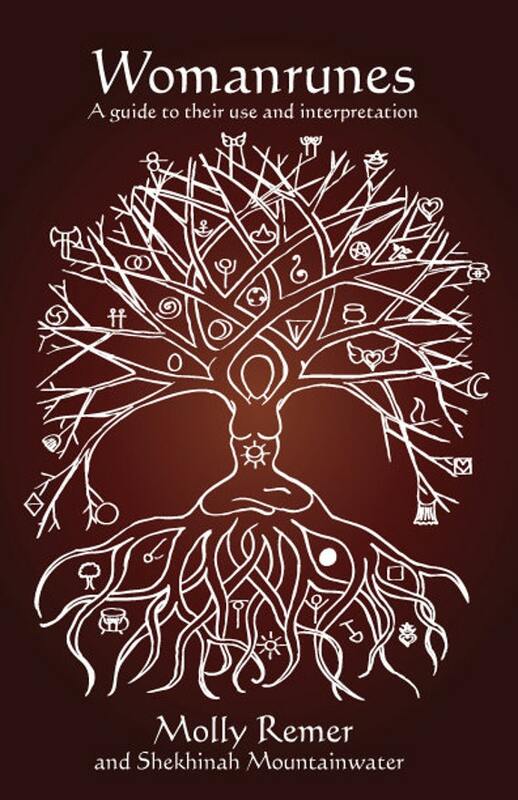 These programs offer an excellent introduction to women’s spirituality, feminist spirituality, thealogy, Goddess spirituality, and Goddess herstory. I am also available to facilitate the programs Becoming a Woman of Wisdom (for women in their Queen years) and Meetings at the Moon (for pre-teen girls and their mothers) for groups of interested women. A moderate materials fee is charged for these groups. Brigid’s Grove Etsy Shop: lovely, handmade, meaningful Priestess and Goddess sculptures and jewelry. I am also available as a priestess for rites, rituals, ceremonies, and celebrations for people in Rolla, Missouri and the surrounding areas. Serving as an interfaith celebrant, I will create and facilitate sacred ceremonies for the purposes of marriage, handfasting, baby naming/welcoming, mother blessings, coming of age, or memorial services. I am ordained as a priestess through Global Goddess and the American Priestess Council as well as having additional ordination credentials as a clergyperson through The Church of Spiritual Humanism. I am currently a D.Min student at Ocean Seminary College in the combined ministerial and academic program. The fee for a customized ceremony or ritual, including an in-person planning session, a rehearsal if necessary, and the ceremony itself is $100. Feel free to email me to request any of my services! I stumbled onto your page through a Google search on “Crone stones”. I work with crystals, energy and healing and was looking to see if anyone had identified any “crone gemstones”. I live in Iowa, so we’re practically Neighbors ! Have you heard of Circle and Pagan Spirit Gathering ? You might want to check it out; it’s a Good Time. Held around Summer Solstice about an hour west of Chicago. Bright Blessings, Happy Solstice and keep up the Good Goddess Work !